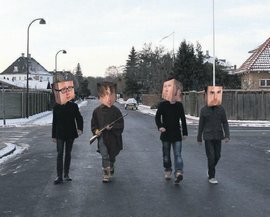 Magne and the rest of Apparatjik will do 3 concerts/performances in Berlin in March, once again using their specially constructed cube. This was announced in a news bulletin on apparatjik.com today. Tickets go on sale tomorrow at theoutland.com. Apparatjik have previously only done 3 concerts; in Berlin, Flø and London – all in 2010. Update: A press release that has been published on a-ha.com and Magne’s MySpace page provides more details about The Apparatjik Light Space Modulator. In addition to the three performances, there will be an exhibition from 13 to 27 March. And the last performance on the 27th will be performed in collaboration with the Deutsches Kammerorchester. Update #2: Apparatjik are also inviting their fans to take part in the project, by submitting images that may be used in a slide-show projected onto the cube. More details here. “Queen goes a long way back for me”, Morten said at the premiere of “We Will Rock You”. Morten and Inez attended the Oslo premiere of the Queen-musical “We Will Rock You” at Folketeatret tonight. Freddie Mercury’s style of singing was a major influence on Morten as a teenager, and he’s been known to perform songs like “Love Of My Life” and “Killer Queen” on several occasions. “Freddie Mercury was one of the vocalists I tried to sound like when I first started singing“, Morten told Dagbladet on the red carpet. Morten was also asked about his current plans after a-ha. “The end of a-ha is not sad at all“, he added in a short interview with TV2. “It’s great to have the time to do something different“. Morten is also interviewed in this video clip on VGTV. Original Queen members Brian May and Roger Taylor also attended the premiere in Oslo, and May was expected to perform at the end of the show. I have been contacted by Greg Lansdowne, a freelance journalist/communications professional from England, who is planning to write a book about a-ha, based on the experiences of fans during the “Ending On A High Note” tour. “I am, therefore, writing to ask for contributors to such a book who would be interested in sharing not only their thoughts on a specific concert but also why your love for a-ha took you to that concert (particularly for those travelling quite a distance). Initially, I would like to get as much feedback as possible in terms of whether this is a book that would be welcomed the a-ha fraternity. To read the whole message, which includes contact info, visit a-ha.com. Lansdowne has also created a thread about this on the WOTM forum. Norsk Noteservice, a Norwegian publisher of music books, recently published Hits 2010 – the latest in an annual series of books featuring some of the biggest Norwegian and international hits from the last year, complete with tabs and chords for guitar and keyboard, as well as lyrics. 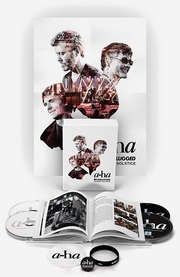 a-ha’s final single “Butterfly, Butterfly (The Last Hurrah)” is among the 36 songs that can be found in the book. “Den Stilleste Timen”, the charity single for Haiti that featured Morten on vocals, is also included. 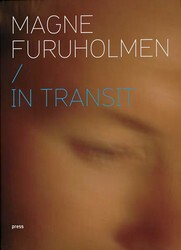 And as you can see, Morten is on the cover of the book. 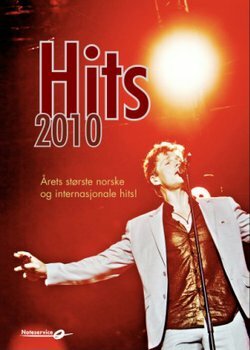 Hits 2010 can be ordered from Norwegian online book stores such as Haugen Bok, Bokkilden or directly from the publisher at Notebutikken.no. Speaking of books; don’t forget to pre-order Just Loomis’ new a-ha photobook, which will include a foreword written by Magne. The book can be ordered from Amazon.com and Amazon.co.uk, with a March 31st publishing date. The 4-part documentary series På jakt etter paradiset, which was broadcast on NRK 1 in 2008, has now been released on DVD in Norway. 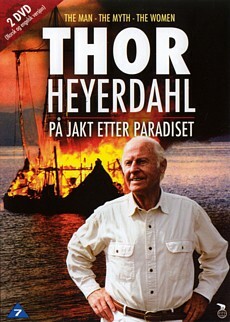 Revealing new details about the fascinating life of adventurer Thor Heyerdahl (1914 – 2002), the series received very good reviews when it first aired on TV. In addition to classical pieces by composers like Grieg, Tveitt and Sibelius, the four 50-minute episodes feature original music made especially for the series by Nils Petter Molvær and Magne Furuholmen. The 2-DVD set has all four episodes on disc 1 (without English subtitles), while disc 2 includes a 50-minute summary of the series in English. The DVD can be ordered from online shops such as Platekompaniet.no (only ships within Norway) and NordicDVD.com (worldwide shipping). Nils Petter Molvær and Magne previously collaborated on the “Meltdown” concerts at Lillehammer in 2004. Molvær also played trumpet on Magne’s solo album Past Perfect Future Tense later that year, while Magne played piano on Molvær’s album er in 2005. “Initially, our music may seem very different, but when two such musical expressions are forced together, something magic can come out of it“, Molvær has said about working with Magne. cabin at Nærsnes, where a-ha recorded their first demos in the autumn of 1982. A new TV-special about a-ha aired on Kabel Eins in Germany on 28 December. Hosted by Markus Kavka, the “Number One!” TV-special included interviews with all three band members, as well as Bunty Bailey, producer Andreas “Boogieman” Herbig and a-ha manager Harald Wiik. 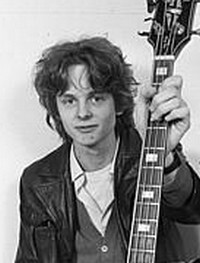 The whole show seems to have been removed from the channel’s website, but the complete interviews with Paul, Magne and Morten (which were done in late 2009) can be seen here. If you’re having trouble viewing the clips outside Germany, some of the interview clips can also be found at MyVideo.de.